Dyeing yarn is an extension of my knitting and crocheting. It felt like the next logical step in my crafting journey. Seeing the finished objects made from yarn and fiber. Watching the yarn and fiber go from a blank slate to a finished object is very satisfying for me. Everyday events and the environments around me indoors and outdoors. Sometimes a funny scene in a show or a movie or a trip to the beach. All of my yarns and fibers are locally sourced from farms in the United States. 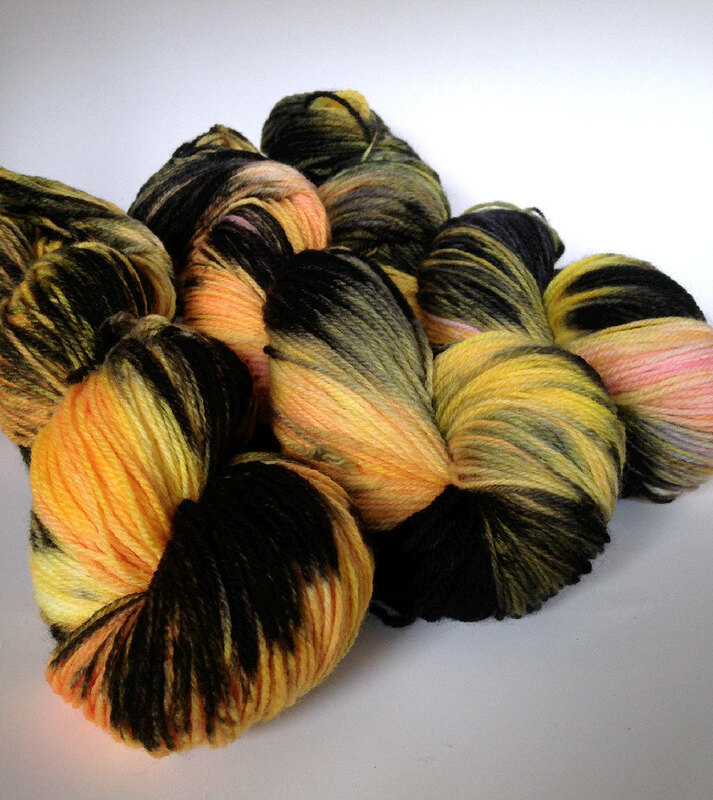 I’m not afraid to use different dye techniques and experiment, which creates unique and exciting yarns and fibers. Currently the favorite product that I offer is the variegated self striping with 4 yards of variegated yarn and 4 yards of black. Options. Options are a huge benefit to the fiber arts community. There are tons of patterns, yarns, and fibers for fiber artists to choose from. I love when my customers email me and ask about possibilities. They are virtually endless. I recently have been a full time fiber artist. Being a dyer and business owner is one of the best jobs in the world. I have had the opportunity to meet incredible fiber artists and travel to places I would have never gone otherwise. 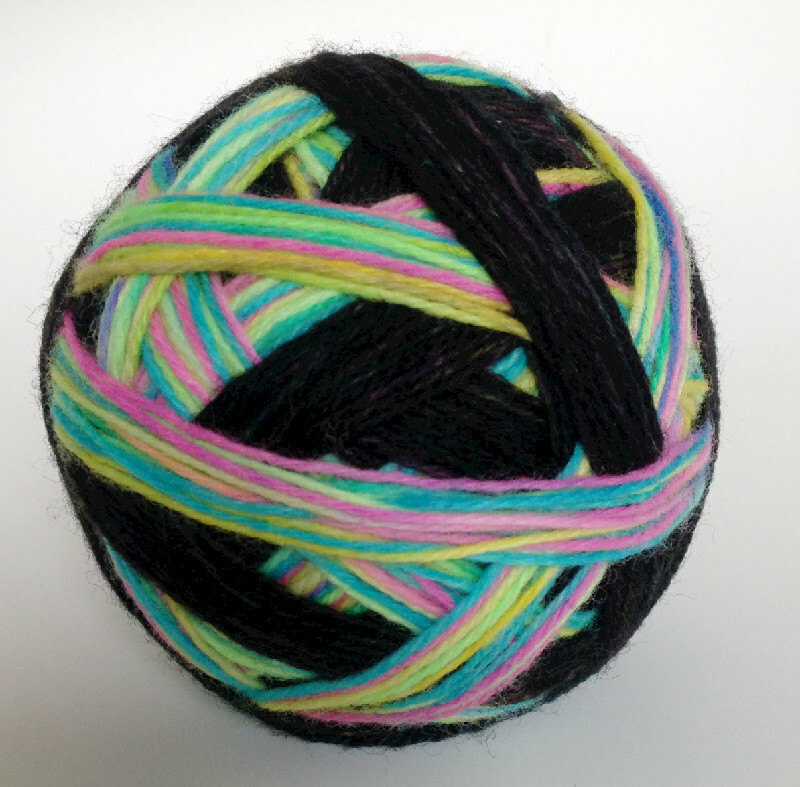 Finding the perfect project for any yarn. 5 years ago, the only things I really spent time crafting were baby blankets made from box store yarns. I have discovered hand dyed yarns and taught myself to knit since then.